Janet Golden is a historian of health care, women, and children and a professor at Rutgers University. 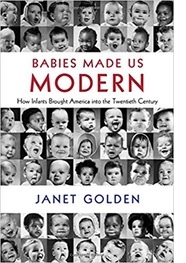 She is the author of Babies Made Us Modern: How Infants Brought America into the Twentieth Century (Cambridge University Press, April 2018). 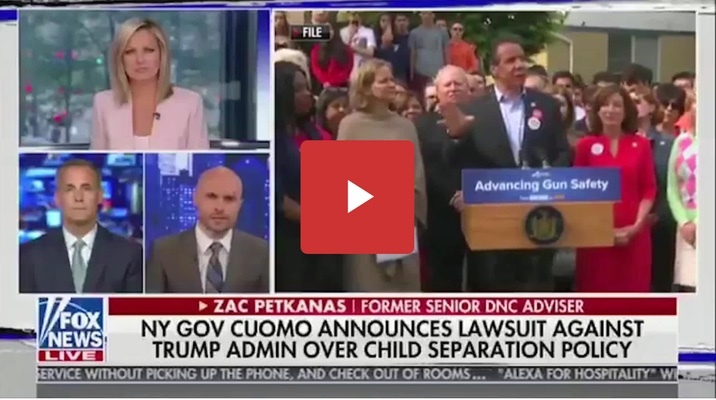 Recently, Corey Lewandowski, a manager of Donald Trump's Presidential campaign told a Fox news television interviewer in regards to the ongoing immigration debate and the plight of a ten-year-old girl with Down's syndrome, "I don't want to hear your sob stories about kids separated from their parents." As a historian currently working on a book about immigration, children, and disability in the 1920s I couldn't help but notice the phrase "sob story" because it appeared so often in earlier immigration debates. The Oxford English Dictionary defines "sob story" as "n. a report or article designed to make a sentimental appeal to the emotions; transf. a narrative of one's misfortunes, a 'hard luck story.' " Both federal officials and anti-immigrant activists viewed "sob stories" as the dictionary defined them. They saw them used to garner sympathy for immigrants where none was due and as interfering with what was, or should be, efforts to enact and enforce laws meant to cut off entry to undesirables. Their words speak for themselves. In September, 1921 the Chicago Tribune quoted Deputy Secretary of Labor, Edward J. Henning, who had recently disbarred a number of lawyers from handling immigration cases. Henning declared: “those in control of the flood of aliens coming into this country deliberately exceed the monthly quotas and depend upon compelling us, with their sob stories and tales of families being separated, to permit the law to be disregarded.” The law to which he referred was the recently enacted 1921 Emergency Quota Act that added both numerical limits and a National Origins Formula to immigration law. With the law firmly in place Secretary of Labor, James J. Davis, himself a Welsh immigrant, used the term "sob story" to defend the treatment of immigrants at Ellis Island against what he believed to be unfair criticism. In a 1922 Washington (D.C.) Times article he defended the status quo, observing, “I wish it were possible for every American to visit Ellis Island and see how the immigrants are treated upon their arrival in this country. They should then see that these 'sob stories' and especially European propaganda with which the country has lately been flooded are simply designed to break down the 3 per cent restriction immigration law." The author recounted several "sob stories" in detail, without taking a position on immigration legislation. Instead, he offered a conclusion that precisely echoed his opening point: there might well be solutions to the immigration problem and to the hardships that lead people to leave home but he observed, "these are other stories." The sob stories held sway and citizens remained divided, or as he put it, continue as, "though nearly everybody is for restriction, nearly everybody objects to the fact that it does keep immigrants out." In December of 1922 and January of 1923 the Committee on Immigration and Naturalization of the House of Representatives held hearings on a bill permitting entry to mentally disabled children who could not be sent back, despite being found excludable, because of the closure of sea traffic during World War I. Bonded out to their families for the duration, they lived in the United States but had never been permitted entry. In the course of questioning the bill's sponsor a skeptical Ohio congressman, John L. Cable, remarked, "Was it the fault of the Secretary of Labor that they traveled the ocean in danger? It is just like the sob story of the immigration law separating families." Shortly before enactment of the Immigration Act of 1924 an article appeared in the Moline Dispatch quoting A.W. Frye, Supreme Commander of the Maccabees, an organization said to be promoting "a higher type of citizenship." Frye deplored the "sob stories" about immigrants "being wrested from families and friends" and deported and urged careful selection overseas to "do away with" that problem. Despite the sob stories, the Immigration Act of 1924 passed. Thanks to a small section of the law, the Secretary of Labor was permitted, but not required, to grant entry to the several dozen intellectually disabled children whose return voyages had been prevented by the outbreak of World War I and, in some cases, by the Russian Revolution. It is not clear whether the sob stories told on their behalf helped to make this possible; that piece of the legislation evidently resulted from negotiations in a House-Senate Conference Committee. Today, as in the 1920s, the term "sob story" one is tempted to say, infests the discussion of immigration law and policy in print, on the airwaves, and on social media. Sentimental appeals capture the hearts and minds of some and arose anger and contempt in others, often in cases involving children or the young adults enrolled in the DACA program. If there are any lessons in this history, they are about the continuing political challenges of simultaneously defining national borders and offering safe harbor to immigrants and refugees in need.